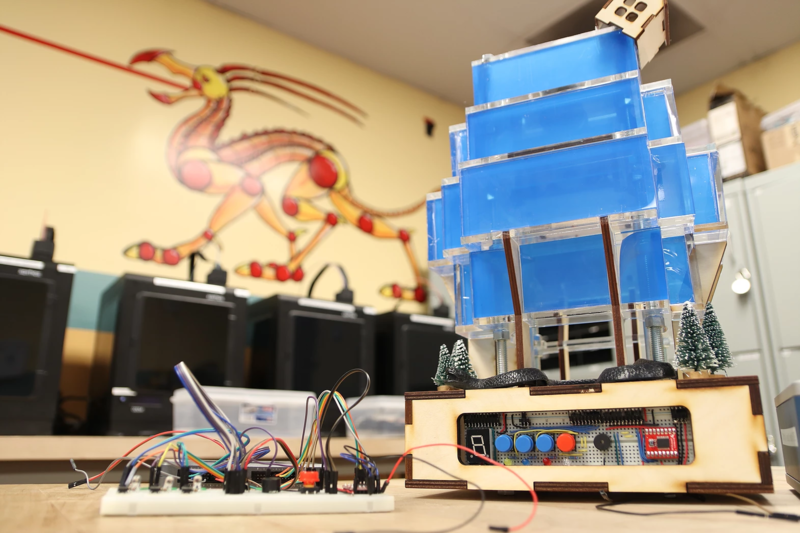 The ECE Makerspace is a prototyping lab replete with 3D printers, a laser cutter, and soldering stations, among other components necessary for building things. 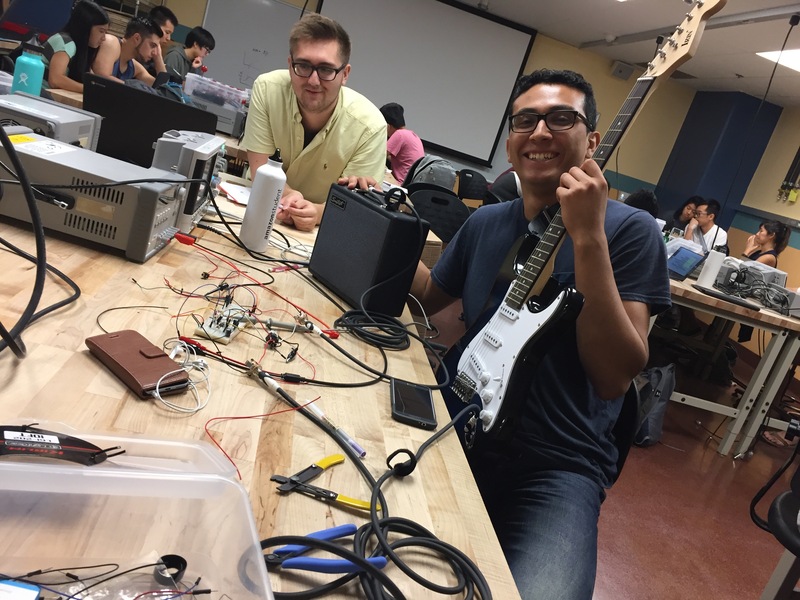 We provide JSoE students a home base to acquire and hone hands-on prototyping skills by enrolling in classes, participating in the PiB Engage program, joining the resident project development team (Project in a Box), or consulting the knowledgeable students who tutor in the space. Visit us to learn diverse skills such as: soldering, PCB design, Inkscape, SolidWorks, LAbView, Arduino, Raspberry Pi, and other hands-on skills. As a home for collaboration and space for innovation, you are welcome to work on projects during any of our open hours. Access to the ECE Makerspace is currently restricted to students enrolled in classes held in the Makerspace or PiB. For all other inquiries, including special events, please contact us. 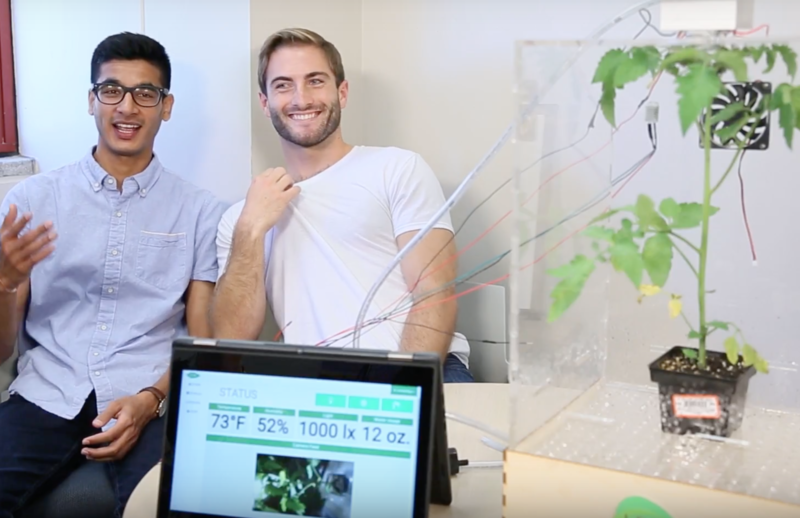 Project in a Box is a group of engineering students who love to create. They develop hands-on projects that are integrated into ECE curriculum in order to bring prototyping skills to students. Their efforts have resulted in courses like ECE 196 and ECE 188, and support independent learning with the PiB Engage Program. PiB members are characterized by their passionate for tinkering, high quality work, and the camaraderie that comes with working closely with an interdisciplinary team of skilled engineers. 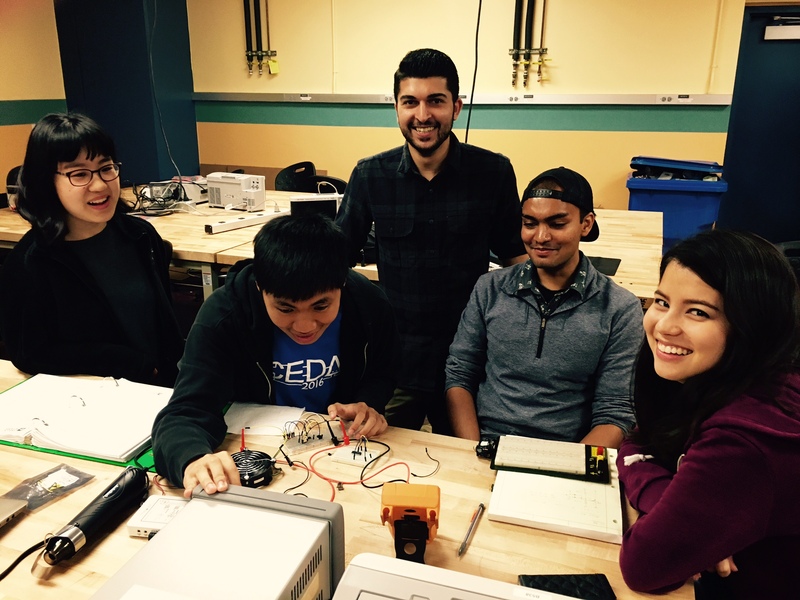 This lab-based, design-focused course teaches students how to prototype a mechatronic solution. Students learn to identify specifications for a problem, use block diagrams to design the system, and employ rapid prototyping (3D printing, laser cutting, etc.). They learn to use motors, touch sensors, and computer-assisted software. They do 3D modeling of parts and create their own design. The teams create circuits to connect their sensors and actuators, which are then integrated into a microcontroller. They program the microcontroller to run the whole system. ECE 140AB is a sequence of two courses on Internet of Things (IoT) and Systems Thinking. The first course will focus on software development fundamentals from an end-to-end perspective, so that students will develop competency in building hardware-based systems, utilizing all the latest web-based tools and infrastructure. In addition, the students will build a “smart plug” in the course lab. The plug will be a sensing and communication device built on the Raspberry Pi platform. ECE 144 is an interactive LabVIEW programming course designed to teach students how to design and develop LabVIEW applications. 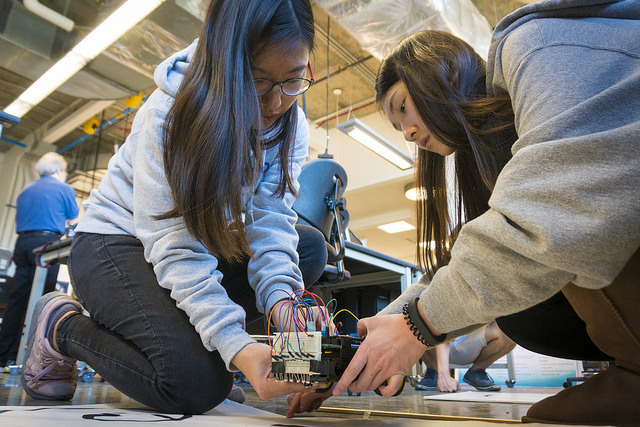 Students work in teams to build prototypes from laser-cut and 3D printed parts, integrate sensors and actuators, and program using state-machine architecture in LabVIEW to form a complete system. They also have the opportunity to take the National Instruments Certified LabVIEW Associate Developer (CLAD) exam at the end of the class to validate their LabVIEW development skills and market themselves "LabView Certified" to prospective employers. Automated laboratory based on H-P GPIB controlled instruments. Software controlled data collection and analysis. Vibrations and waves in strings and bars of electromechanical systems and transducers. 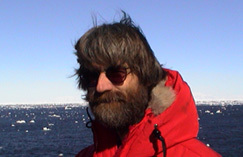 Transmissions, reflection, and scattering of sound waves in air and water. Aural and visual detection. Experiments in the modulation and demodulation of baseband and passband signals. Statistical characterization of signals and impairments. ECE 196 is a hands-on course designed for students to gain hands-on engineering experience through projects in team building environments. Projects were designed by students for students to help students expand their engineering toolbox. In the first five weeks, students work in groups of two to build projects developed by the PiB team. In the last five weeks of class, students work in teams of four to develop a new project from concept to presentation. In the course of one quarter, students work on a total of four projects that will test their ability to problem solve, adapt, and engineer.